Once upon a time, not long ago and not far away, a White Starred Robin visited our garden pond. If I had the powers to understand the language of robins, what might I learn? This robin was, or probably is, a visitor to our secret garden, or rather the secret part of the garden behind the pond, which we disturb as little as possible. Apparently, the white spot (that gives the White Star Robin its name) above the eye is only visible when the bird is excited or alarmed. As you can see in the photos, the “star” above the eye was easy to see (although a second star on its chest was not). Perhaps, it was excited to be taking a bath, and maybe it was also a little alarmed at my presence. I was excited too, as this was the first and only time I have seen a White Starred Robin, which is not to say it has not been around, but just unseen by me. Why had I not seen this gorgeous little bird before? Probably because it is difficult to see in the dense vegetation, such as forest thickets and dense undergrowth along drainage lines and streams, that it prefers, often foraging quietly on its own (although breeding pairs usually mate for life). Behind our garden is a strip of unused land along one side of a drainage line, which used to be a stream, before the exotic plantation of thirsty trees was planted up the small valley and adjacent hillsides. However, the drainage line is heavily vegetated, and even though mostly by alien plants, at least they provide protective cover, perfect for this little bird. So, if the robin chose to communicate with me and I chose to listen, perhaps I might learn how we can make our gardens more wildlife friendly? Fairy tales often hinge on the granting of wishes. So let’s consider waving a magic wand (or magic trowel) and grant some wildlife wishes and conjure up small sanctuaries in our backyards. But in truth, the robin flew off, not having the time to spend on educating me. Off it went to a more sheltered spot to forage and forage. It is busiest in the breeding season, bonding with its mate, the female building the nest, and the pair needing to defend their territory and young, and feed and raise the chicks. Depending on the region, some White Starred Robins are altitudinal migrants, needing to be aware of seasonal changes, and making long journeys to overwinter in increasingly scarce suitable habitats. I was astonished to learn that the White Starred Robin builds its nest at ground level. The well-concealed nest is a domed structure with the “roof” sometimes overhanging the cup-shaped nest like a small porch. Sometimes it incorporates the nest into growing foliage, such as asparagus fern, or else the nest is built at the base of small boulders, usually covered in moss, or at the base of tree trunks. Most nests are built on sloping ground and are hidden in dense ground cover. The female builds the nest, and materials used include dead leaves, small roots and tendrils, and moss. She lines the nest with soft, skeletonised leaves, small flower material, and sometimes with animal hair (including from antelope). The White Starred Robin searches for food, mainly insects, in leaves, twigs and bark in the understorey and right up to the tree canopy. It also forages in leaf litter on the ground. It can also catch flying prey on the wing, especially at dusk. Food items include beetles, small moths, ants, spiders, flies, caterpillars, bees, crickets and other bugs. It also eats small fruits, berries and seeds. Allowing a fertile and diverse understorey to develop differs from the lawn-and-neat-flower-bed approach to gardening. It helps us develop empathy for other creatures, learn about our local plants, and form a creative partnership with pollinators and other insects, with birds, other creatures and plants, forming a kind of sympathetic magic. My wish is that more and more of us discover the pleasures of freer forms of working with nature, rather than trying to manicure and discipline it as so many gardening conventions seem to require. Once we fall under that spell, we learn more about what plants and other forms of life need to thrive and complement each other. As we learn more about local plants and the needs of local wildlife, our backyards can become a mosaic of diversity across the country and across the globe. As wild spaces shrink and habitats diminish in size and diversity, how wonderful if White Starred Robins and similar ground-nesting species can find places to raise their families in our suburban spaces. What a wonderful sighting and beautiful photos. I love the tips you shared regarding making your garden more wildlife-friendly. I look forward to following your blog 🙂 . Yes, the internet is definitely a great way to connect! We’ve really been enjoying your blog, too! We’re happy that you are also enjoying ours. 😀 Thank you! What a little treasure to discover in your garden, which looks and sounds like a delightful haven for so much wildlife. The approach to gardening is definitely beginning to change here in the UK, where people are being encouraged in many ways to garden with wildlife in mind. As more land is taken for building upon, we have to take responsibility for providing good or preferably enhanced habitat for the wildlife we displace. 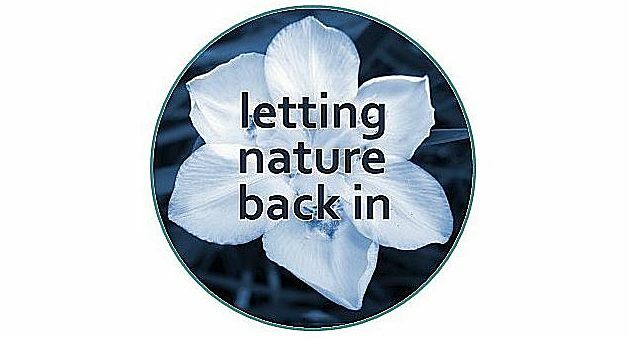 Good to hear that approaches to gardening are changing to being more wildlife friendly. I find it so refreshing to learn more about a more relaxed and open-hearted approach. I agree that we need to care about (and for) what we displace and it’s heartening to know that many people are thinking along these lines too. It is great to learn about the various species in your area. That white starred robin is perfectly lovely- good capture! Thanks Eliza – learning about other parts of the world from other bloggers is one of the great things about blogging. And re the robin, I will be on the lookout from now on, hoping to see it again. I was attracted in by the photo of this delightful bird, but really enjoyed reading this post. It’s complemented by the book I’ve just finished reading – ‘Wild Kingdom’ by Stephen Moss. It’s really relevant to the UK of course, but he discusses at length the loss of various sorts of habitat and the devastating effect on our rich and so far, still diverse wildlife community. One of his conclusions is that gardens have the potential to be even more of a resource to this community than they already are. Yours sounds perfect. Thanks Margaret. It sounds to be an interesting book. It is easy to be overwhelmed by problems such as the ongoing habitat loss, displacement, pollution and toxins, and the deliberate killing that depletes wildlife all over the world, including wildlife managing to survive in pockets of land on the edges of built-up areas. I suppose the more people that light up little candles in the form of wildlife friendly patches and gardens, the less dark the future might be and slightly less bleak and more diverse for wildlife, indigenous plants and other forms of life, including us. What an absolutely charming piece of writing … what a delightful bird – so strange for a European (or indeed person who has lived in New England) to see a Robin that is not brown with a red breast! I rather wish I had a white spot that would appear when I was alarmed … it might warn people that approach is risky! Yes, I think that is the case. I was quite bemused when I first saw a Robin in New England having been used to a little bird whose profile if not colouring looks very like yours and confronted its a MUCH larger bird but I got used to them and welcomed them just the same, of course. The white spot … I SUPPOSE I must accept your wisdom! I have thoroughly enjoyed reading this article! I too have what I call a secret garden which remains untouched and has proved to be a wonderful ‘safe space’ for all sorts of creatures. I also welcome the fungi and leave grass growing until the seeds are over – enjoying the variety of birds that come to feed on them, swaying on the stalks. The olive thrushes are excellent at clearing the gutters – scuffle, scuffle and one has to get out of the way as old leaves come down in chunks. Your garden sounds like a small paradise! Thanks Anne. I am delighted to hear about your secret garden that welcomes a diversity of life. I am constantly finding that there is more and more to learn and enjoy. How amusing to hear about your industrious thrushes clearing the gutters! The thrushes here have not learnt to do that.